It’s a little early, but we just can’t wait! 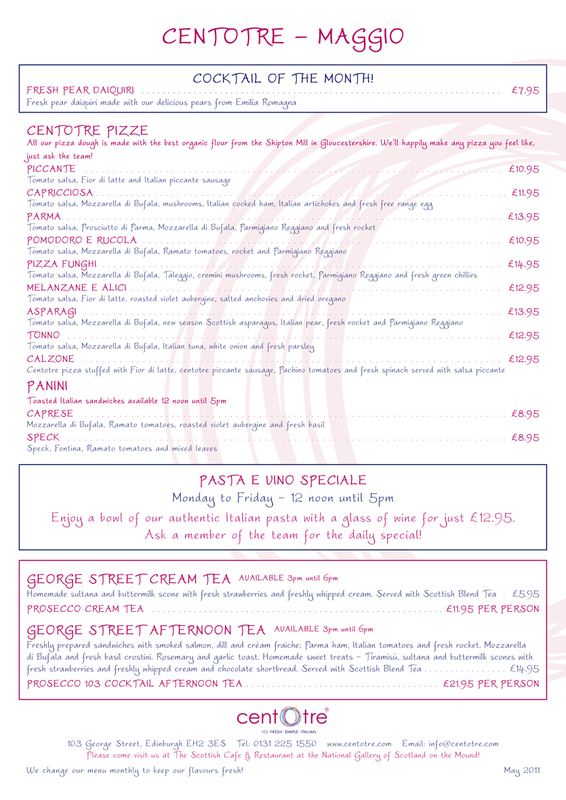 Our new May menu is out today! We’ve added new season asparagus, brought back our special Spigola (Sea bass) by special request and we are pleased to introduce our new selection of extra virgin olive oils, sourced direct from Italy. Victor has carefully chosen these oils from a few of his favourite vineyards where we also source our wines. Or new wine list will also be out soon – watch this space! 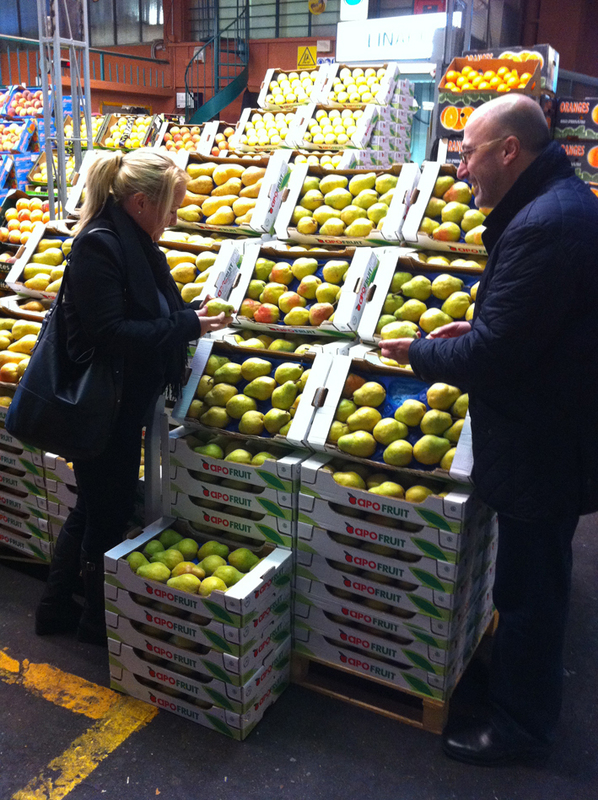 Buying our Italian fruit and vegetables direct from the market in Milano ensures we serve only the freshest Italian flavours! We try and go over as much as possible so we don’t miss anything! Victor was there over two months ago and Carina will visit at the end of May. We speak to our supplier every few days and receive a couple if deliveries each week. 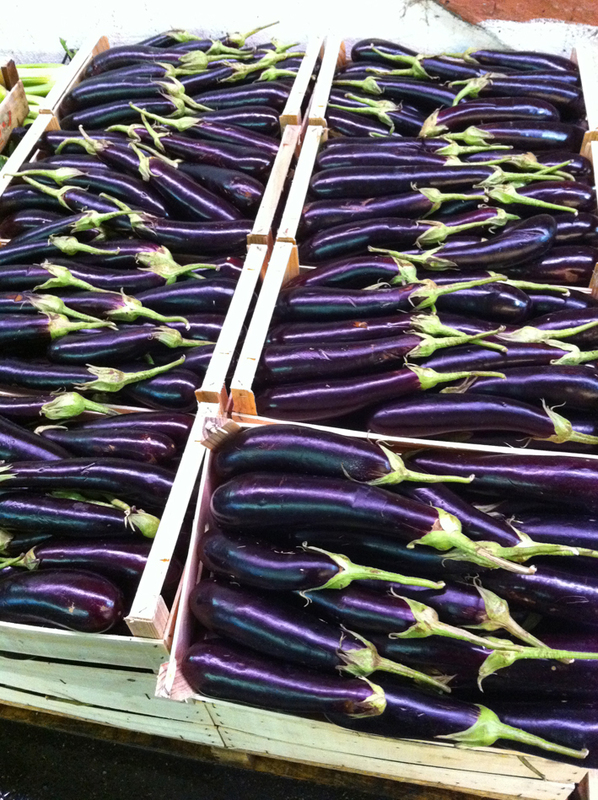 Violet aubergines, courgettes, several varieties of tomatoes, cremini mushrooms, new season pears, asparagus, onions, Amalfi lemons and so so so much more. 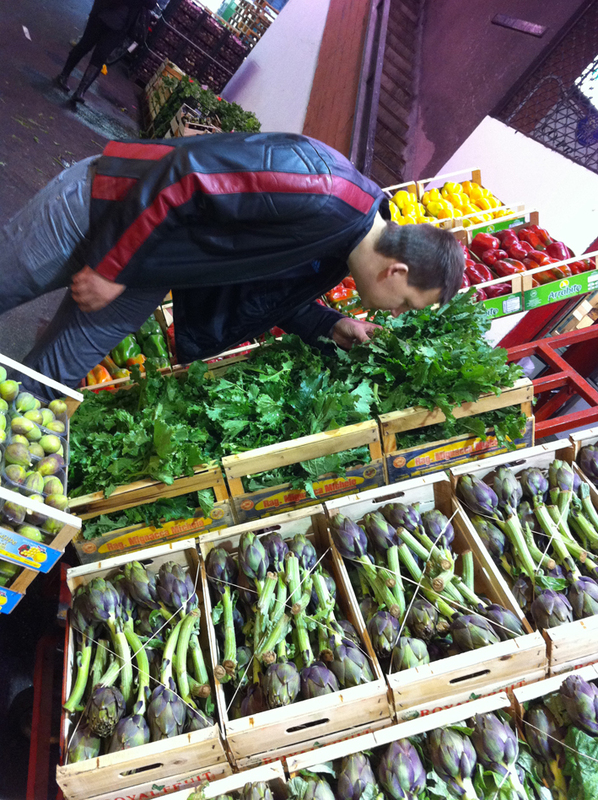 The produce we get is premium quality, each item coming from small largely organic farms throughout the regions of Italy. Pears from Emilia Romagna, tomatoes from Sicily, ramato tomatoes from Puglia, asparagus from Venito. So exciting, so fresh, so simple and so Italian. Enjoy! 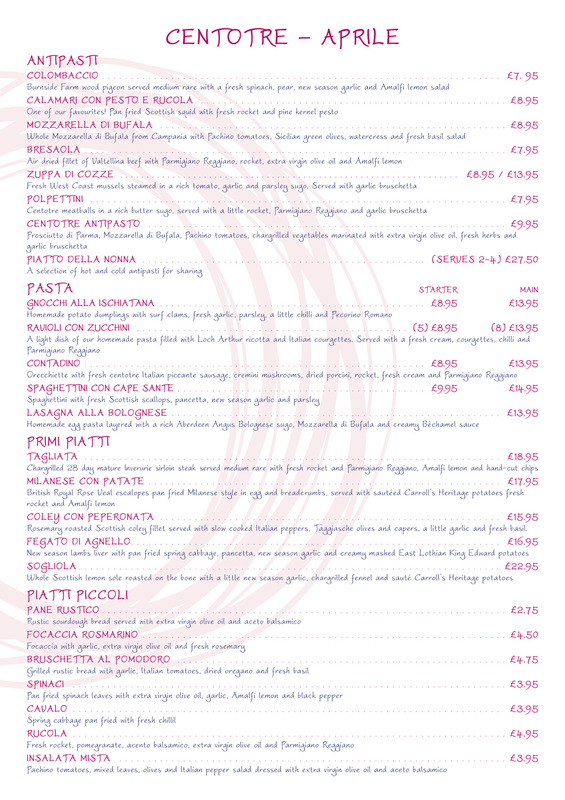 We’ve refreshed our menu and filled it full of the flavours of spring! 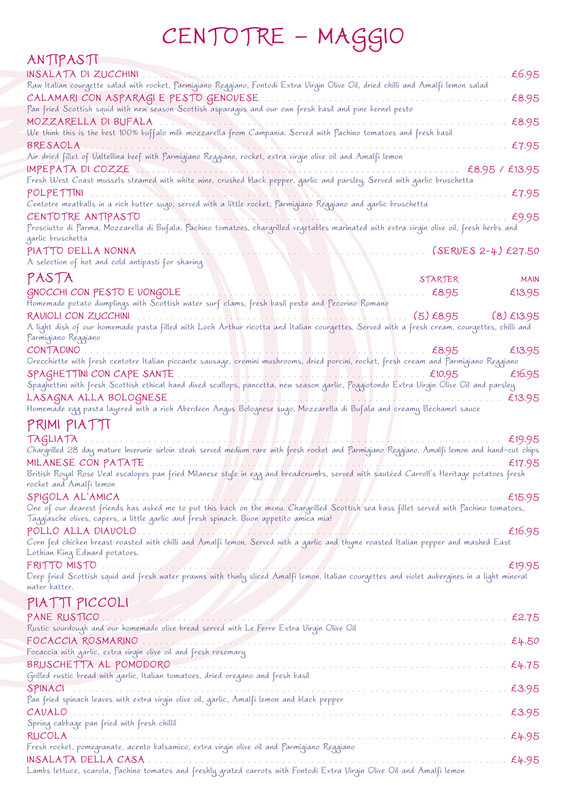 We’ve kept your favourites and added few extra dishes to celebrate the new season! Scottish wood pigeon direct from Burnside Farm in the Tweed Valley served with fresh local spinach and pear; Fresh local surf clams served with our homemade Gnocchi, spring garlic and Pecorino Romano; West coast scallops with spaghettini and pancetta; Scottish lambs liver with spring cabbage and creamy mashed potatoes; Whole lemon sole roasted on the bone with chargrilled fennel; Inverurie steak with hand-cut chips… to list a few! 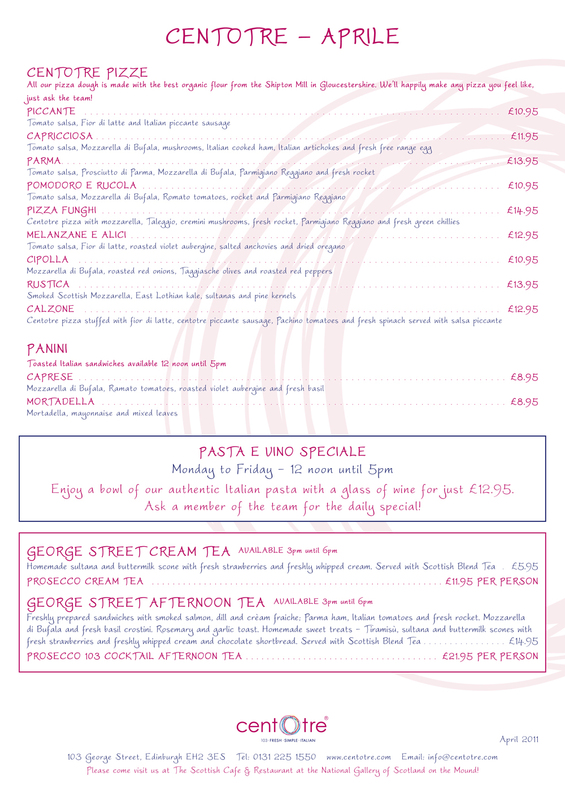 Full menu available below and to reserve your table email: reservations@centotre.com or call 0131 225 1550.